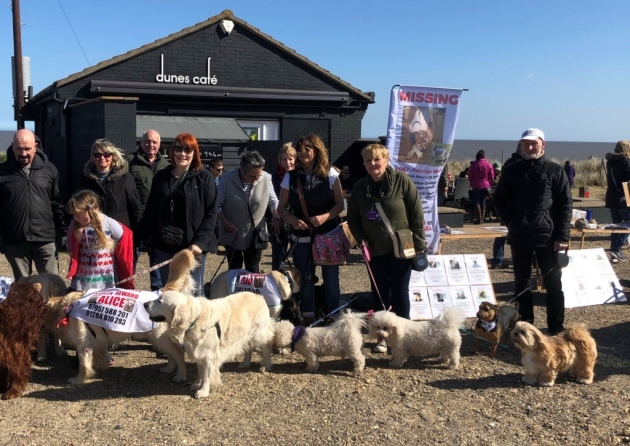 More than 30 people took part in a beach walk to remember a dog that went missing a year ago and other lost or stolen pets. The event, which was organised by Caroline Cooke, was held at Winterton-on-Sea on Sunday, March 24. 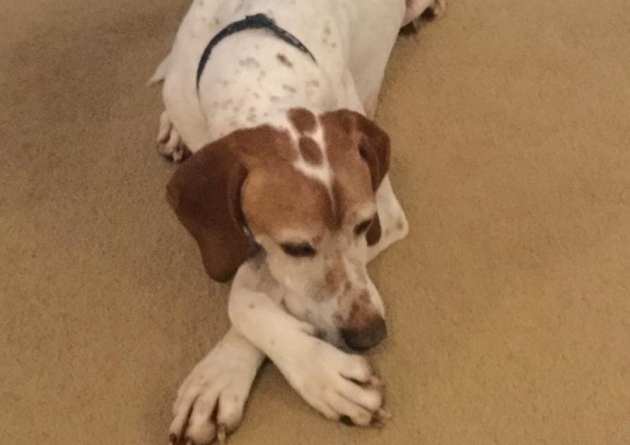 Rio, an English pointer, went missing from the dunes area in Winterton on Sunday, March 25, 2018. 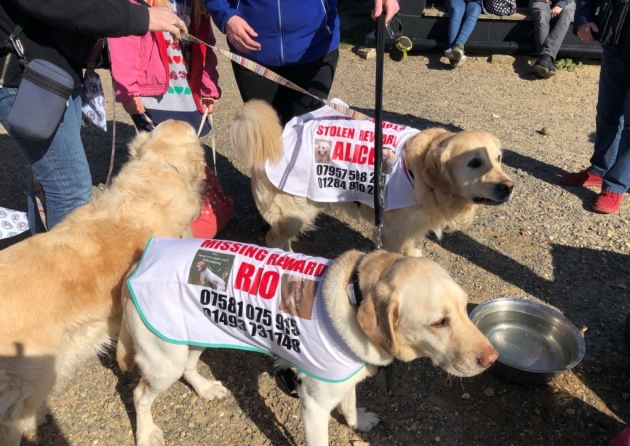 Ms Cooke, who is hoping to set up an area in north Norfolk where posters and information on missing dogs can be displayed, said: “Our walk was to highlight Rio’s disappearance and other dogs that are missing, stolen or lost. “The weather was good and more than 30 people came to show support with their dogs, including the owners of Daisy, a dog that was stolen. “Rio’s owner Lynda Lutner made bananas with Rio’s picture on for the dogs to wear. It was emotional, as we walked the area where Rio went missing – and that day was a sunny Sunday afternoon, as well. 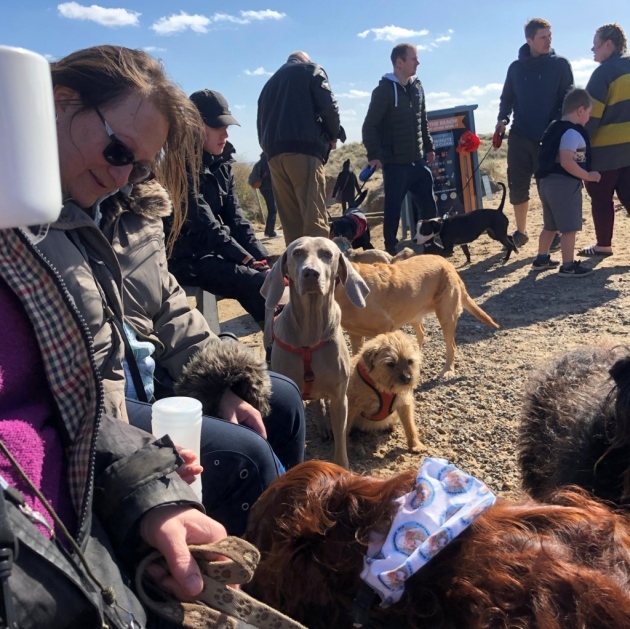 She was joined on the walk by Helen Jermy, co-ordinator from Norfolk and Suffolk Dog Lost charity, who brought information and photographs of other missing dogs. She also used her scanner to check the chips of some of the dogs. Rio, whose owners are French and were on holiday at the time, was six years old when he was lost. After he went missing, a search was carried out involving a drone and a plane and notices and signs were put up in the area. Mrs Lutner said: “It has been one of the hardest times in my life. I suppose the not knowing is the hardest thing, I can’t grieve properly because there is always that little hope he will turn up one day. If you have any information on Rio, call Dog Lost on 0844 800 3220, quoting dog ID 127089.